The lead writer of BioWare's hit Dragon Age games concludes King Alistair's epic quest-in a journey beyond reality itself! 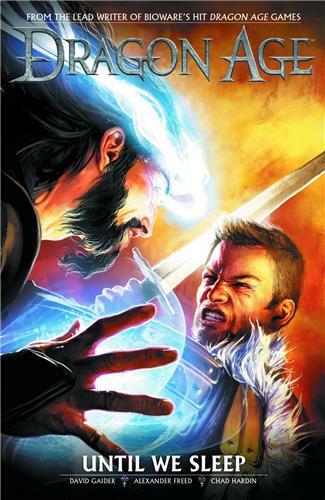 Fans around the world have recognized the Dragon Age comics to be an integral addition to the video-game saga. Now, series writer David Gaider pits King Alistair and his noble companions Varric and Isabela against their most nefarious foe-the twisted blood mage Aurelian Titus!